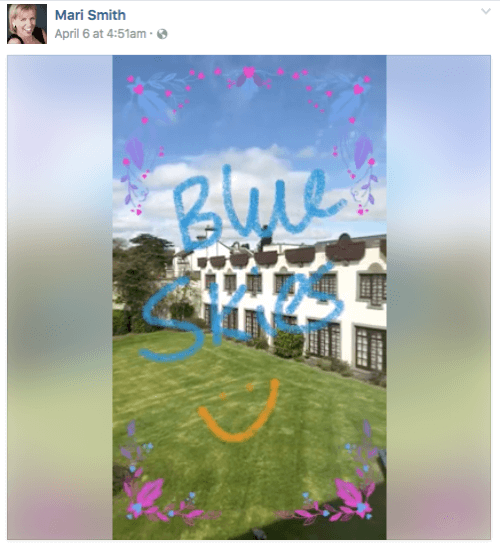 Do you use Facebook to market your business? Wondering how marketing on Facebook is evolving? To explore how marketers should adjust to Facebook’s recent and future changes, I interview Mari Smith. 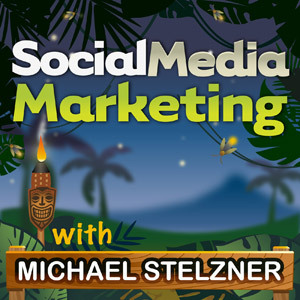 In this episode, I interview Mari Smith, the world’s leading Facebook marketing expert. She co-authored Facebook Marketing: An Hour a Day and is author of The New Relationship Marketing. 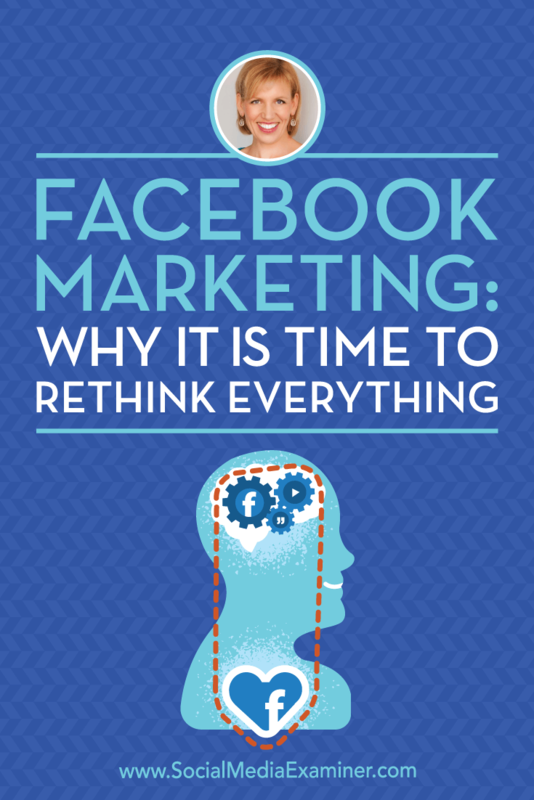 Mari shares why it’s time for marketers to rethink how they use Facebook. You’ll discover where Mari believes Facebook is headed. Facebook Marketing: Why It Is Time to Rethink Everything featuring insights from Mari Smith on the Social Media Marketing Podcast. Mari explains that the Facebook algorithm pre-filters content that users see in their news feeds. The algorithm manages the vast amount of content posted to Facebook and thus helps advertisers, while hopefully showing Facebook users the most relevant content among the thousands of posts they could see. Users can have as many as 5,000 friends, join up to 6,000 groups, and follow up to 5,000 pages. With posts coming from all of these sources, users might see as many as 15,000 posts. Mari says that the Facebook algorithm narrows down what users actually see to about 1,500 posts, and from that pool of content, narrows what users might see even further to about 300 posts. Mari says the algorithm is complex with about 100,000 weights, of which only about a half-dozen are known. For instance, Facebook favors stories from users’ friends, video content, and so on. Also, when the algorithm came out in 2008, along with Facebook business pages, it made the news feed non-chronological. The Facebook algorithm narrows content to show users the stories most relevant to them. Mari explains that the algorithm exists because Facebook needs to keep users coming back and also offer value to advertisers. Each day, the average user logs on about 14 times (more for marketers), and is on Facebook an average of 50 cumulative minutes. That creates a huge captive audience, which is a massive amount of potential to offer advertisers. To maintain that value, the algorithm encourages user engagement. Mari notices how she loves keeping up with her friends and community via Facebook and sees an advertisement about every third post. The better the targeted ad, the more likely she is to respond. Mari also notes that by encouraging user engagement, the algorithm also encourages users to share information with Facebook. This information helps Facebook keep the users and advertisers happy. I ask what marketers should do so users see more of their content in the news feed. Mari recommends not only sharing video, but also slightly increasing the length of videos. For uploaded videos, Mari has discovered a minimum of 90 seconds makes content more visible. For a live video, Mari recommends broadcasting for at least 5 minutes. Mari says Facebook favors slightly longer video because it enables Facebook to insert mid-roll ads. These ads break in and run for about 20 seconds. At the moment, mid-roll ads are in beta and you have to sign up before they’ll appear in your video. Also, Mari says these ads appear only if you have at least 2,000 followers of your profile or page and 300 concurrent viewers. Mari explains that the decline in Facebook user posts and the algorithm’s preference for camera-based content are related. Facebook is moving more into the camera mode because over the past three or four years, users have been sharing fewer status updates. Typing a post is harder than snapping a picture and adding sticker or filter. Users have been sharing fewer status updates in favor of image and video updates. Mari stresses that real-time signals are also important to the visibility of your content. Posts that attract likes, comments, and shares have better visibility because this activity shows the post is relevant, timely, or newsworthy. Mari says the Facebook algorithm also identifies whether a page tries to game the system by asking for likes, comments, and shares. The algorithm gives posts that don’t do that greater visibility. Listen to the show to hear Mari discuss the diminishing amount of ad space in the news feed. A few years ago (around 2013 or 2014), Mari saw predictions that Facebook organic reach would eventually hit zero. Mari doesn’t think that will ever be the case because pages with raving followers who turn on post notifications will always have some organic reach. However, organic reach is dwindling and marketers need a strategy for using what little organic reach they get to maximize a post’s visibility and their ad budget. To increase a post’s chances of getting organic reach, Mari encourages marketers to make sure their post is relevant to their audience. In other words, the post should be newsworthy, entertaining, or educational. Mari calls her approach to creating relevant posts the Mari Method, and she explains how it works in an article she recently wrote for Social Media Examiner. 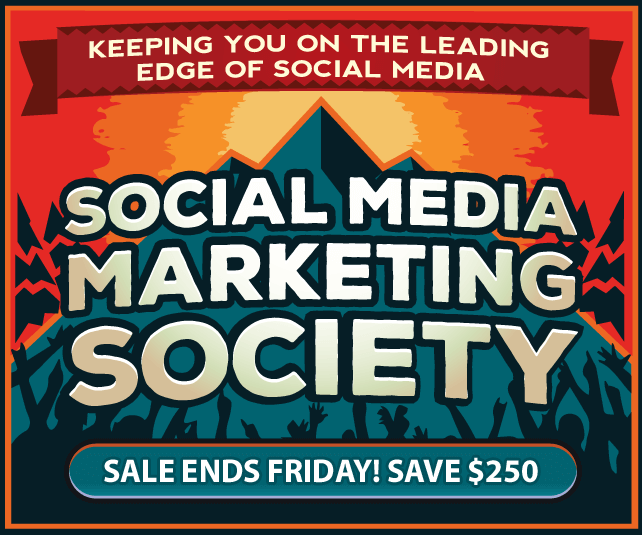 Excerpt from How to Maximize Your Facebook Reach by Mari Smith on Social Media Examiner. After a post generates some organic reach, Mari says you can build on it with advertising. 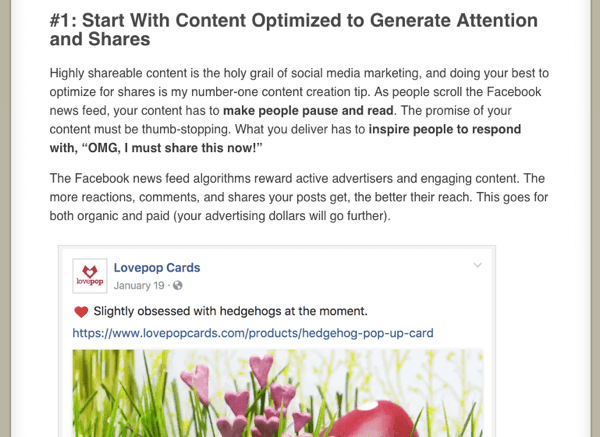 One strategy is to wait up to 24 hours to get some organic reach (a few likes, comments, and shares), and then amplify the post incrementally with your ad budget. For instance, you can get more out of your $300 marketing budget by splitting it up. Don’t use your entire budget to boost a post to people who like your page. Mari says Facebook’s advertising algorithms don’t favor advertisers who simply hit the Boost button relentlessly. This approach won’t help you achieve the best ROI on your ads. Instead, Mari recommends using Ads Manager and testing and segmenting your ads. Also, use custom audiences and ideally, the Facebook Pixel. As you drip-feed your budget, your organic reach goes up, Mari continues. Also, because paid content doesn’t have the date on it (just the Sponsored label), you can continue to get mileage out of content that your audience loves. Listen to the show to discover what new long-awaited feature is coming to Facebook pages. Facebook is heading in the direction of digital-streaming television. Mari mentions a slide she likes to include in her talks, showing the percentage of digital down-streaming traffic. Netflix has about 35%, YouTube around 17%, and Amazon 4% (which doubled from 2015 to 2016). Mari says Facebook probably won’t be competitive with these streaming TV services for one to three years, but is absolutely on a mission to pursue the billions of dollars in television advertising. To that end, Facebook is investing in all manner of licensed original episodic content (episodes of 3 to 30 minutes). Mari adds that Facebook hopes to capitalize on the phenomenon of binge-watching. Mari loves the video tab with the little bubbles on top and a feed that’s exclusively video. The bubbles show the pages or people who are live now or have recently uploaded a video. A separate algorithm manages this video feed, which you can find by tapping the video icon that looks like a Play button. Mari says this feed is basically Facebook television. 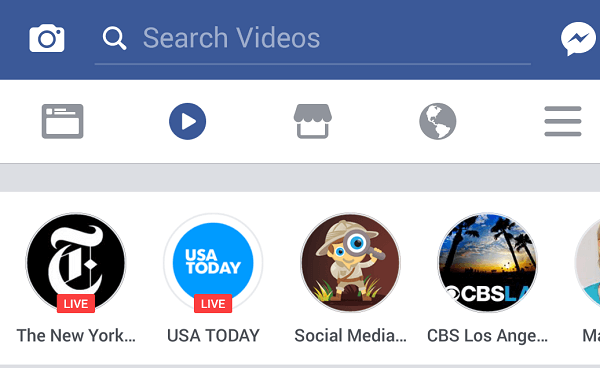 The Facebook video feed shows who’s most recently posted a video or broadcast (or is broadcasting) live. In March 2017, Facebook released the ability to go live on desktop on your profile or page. Many people have been able to do that for some time using third-party tools, but this feature is through the native Facebook platform. Mari says Facebook is also going after the gaming community because you can stream your games via desktop. Gamers are a whole segment of Facebook users, and Facebook may use its investments in virtual reality to appeal to them. Listen to the show to hear more of our thoughts on Facebook’s potential features with artificial intelligence and virtual and augmented reality. Mari says the rapid release of new features on Instagram and Messenger are clearly part of Facebook’s mission to attract Generation Z (basically anyone 21 and under). To give a sense of where Facebook and Instagram are headed, Mari mentions China’s WeChat, which she says is light years ahead of the Western world. WeChat has been called a Swiss army knife, because it’s What’sApp, Facebook, Skype, Uber, Amazon, Instagram, Venmo, Tinder, and more. Last year, The New York Times put out a video that gives a glimpse into what WeChat can do, such as booking services or heat maps that show how busy a destination is. Because you can do everything in WeChat, Mari says it’s an advertiser’s dream. Mari has also heard from reliable sources that Facebook and Instagram are only 1% done. Imagine the enormity of the future releases coming down the line. Facebook wants to keep users coming back day after day by giving them positive experiences so they share and connect with friends more often. For example, Facebook recently released a new camera for the Facebook mobile app. If you swipe right, instead of seeing everybody in your favorites, you see a camera. The camera is now baked into the native Facebook app and has filters, stickers, and masks. Listen to the show to hear more about new and emerging features that might change the way users engage with Facebook and Instagram content. Everyone thinks Snapchat is about secrecy. Mari disagrees. 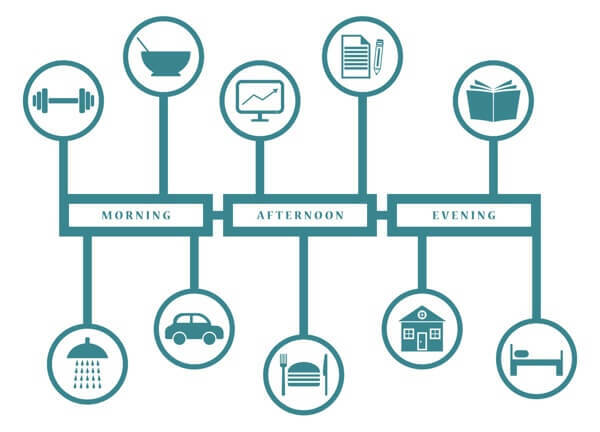 It forces you not to think about accumulating a chronological record of what you’ve been up to over the years of your life. It’s an experience thing. Snapchat forces you not to think about accumulating a chronological record of what you’ve been up to. I ask Mari what marketers should do in this world of constant change. Mari responds by sharing a quote from a Forbes article, “The brands that fail to incorporate visuals and videos will be left by the wayside.” It’s about human interaction, emotions, relating to people. Scott Monty says, Facebook Live is like a rebirth of live television. Back in the day, TV was always live. Now, TV is new again and incorporates interpersonal connection. Mari believes marketers would do well to innovate, be early adopters, and really capitalize on video, whether it’s recorded or live. Although she knows how busy marketers are and how keeping up with the constant innovation is challenging, Mari recommends that marketers make time to do regular shows. In those video shows, she encourages square videos. 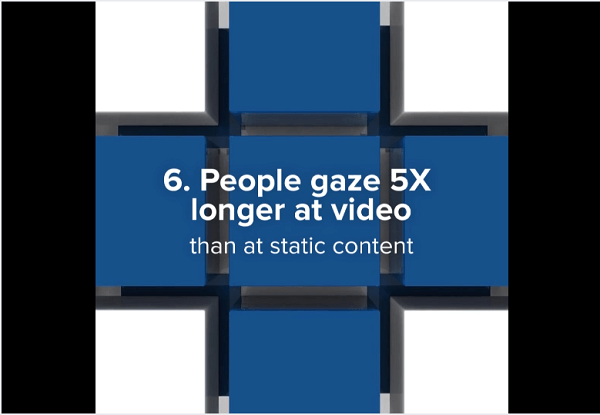 Facebook just brought out a study that people gaze five times longer at video than static content on Facebook and Instagram. Square video takes up more screen space, has a higher view completion rate, and gets more engagement. Although you can no longer do Facebook Live as a square video, you can upload square videos. For Live video, portrait is more mobile-friendly than landscape, so choose portrait to increase views and engagement. In the news feed, people spend more time looking at video than static content. Mari says creating video can help drive people to your articles, especially if you’re doing an article that references video. For instance, she made a video pulling out some of the highlights from her Mari Method article to drive people to read it. Also, when Mari was in Ads Manager looking to promote a video post, up popped advice from Facebook saying, “Recent studies have proved that creating short videos of 15 seconds or less can significantly drive up video completions.” So for ads, instead of a 5-minute Facebook Live video or a 90-second recorded video, you’ll see more video completions by creating a 15-second video that’s visually engaging. I ask Mari what skills marketers need to focus on as Facebook continues changing rapidly. In videos, Mari recommends focusing on your storytelling skills. Make that connection with your audience through regular or live video. Mari also recommends extra touches that increase video views and consumption. Pick a good thumbnail and add captions. If your video is 5 minutes or shorter, a caption generator does it automatically. For longer videos, you can use a transcription service. Then Mari recommends having an ad budget so you can include a call to action in your videos. People will then be able to click your call to action and go to your website or open Messenger for one-to-one communication. 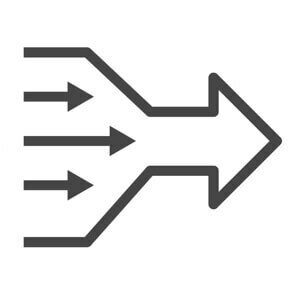 You can also use bots to start the sales process and warm the lead. You can’t simply focus on more traffic. Mari says marketers need to work on tying the whole process together. Listen to the show to hear my take on how videos are driving this fast-changing industry. 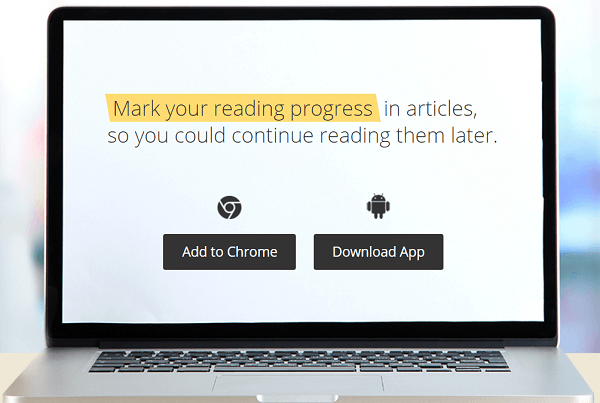 Markticle is available as a free Chrome extension or Android app. After you install Markticle, open the article you want to read, select the text where you’re leaving off, and press M to mark that text. You then have the option to leave a note or share the article. Listen to the show to learn more and let us know how Markticle works for you. What do you think? 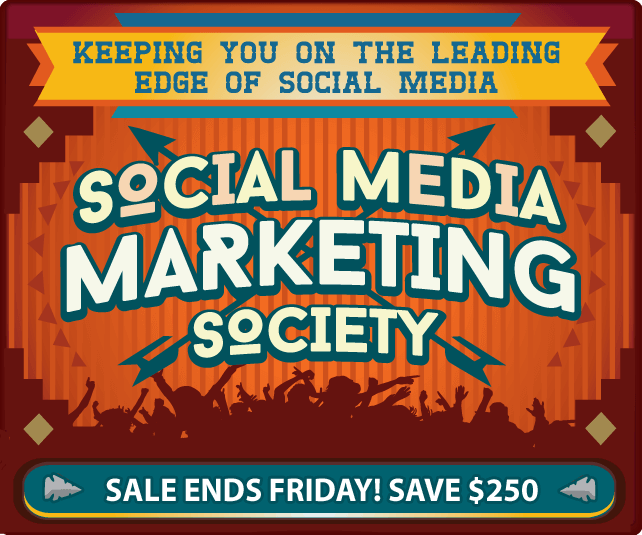 What are your thoughts on Facebook marketing? Please leave your comments below.